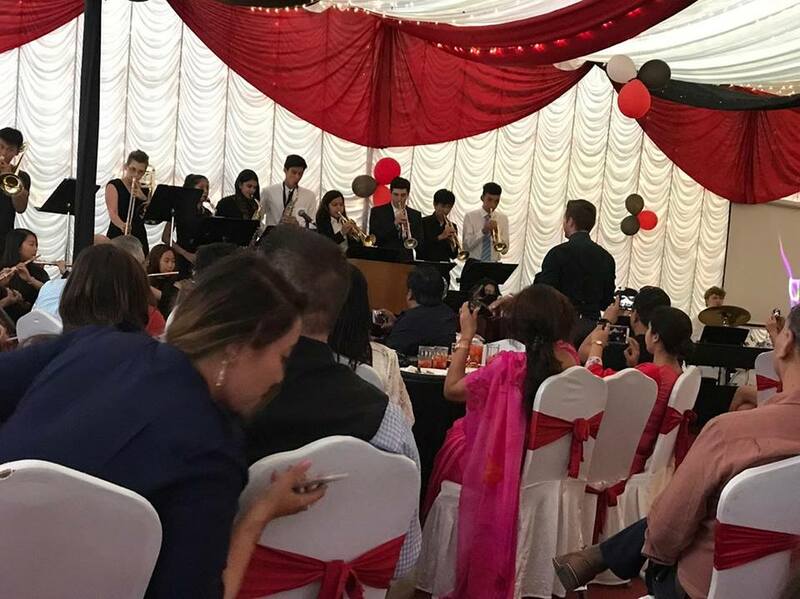 On Saturday, May 6th, the Lincoln School gym was transformed into a picturesque ballroom with musical displays, athletic awards, videos and speeches and an opportunity to honor all our students who pursued dreams and participated in our co-curricular programs at Lincoln School this year. Of 135 Secondary Students (Grades 6-12), 115 tried out for our SAISA sports teams this year. This is approximately 85% participation in our athletics program. We also sent a large group of Musicians and Artists to Jordan and Chennai respectively, attended a MUN conference in Holland, put on two secondary plays, and hosted a MathCounts convention. Altogether, 85% of our student population represented our school in one of these events, while almost 99% of our student population participated in at least one after-school activity this year. ● The year began with hosting NISSA boys’ and girls’ volleyball. Our boys won the tournament and our girls finished runners-up to a club team. ● We hosted the 2nd Annual LS Swimming Championships, which we won convincingly with many outstanding performances, winning over 90 medals and many of the gold variety. ● We successfully defended the Little Angels Swimming Championships. ● We were SAISA Girls’ Volleyball champions! For our girls’ team, this is the 4th year in succession that we have either won or been in the final. ● Our Boys’ Volleyball were also SAISA champions! This is a record 8 SAISA titles for Boys’ Volleyball. ● We hosted SAISA Swimming for the first time in history; we won SAISA Swimming for the first time in history. Our teams finished 2nd in the 10-12 girls, 10-12 boys, 13-14 boys and 15-19 boys and 1st in the 13-14 girls and 15-19 girls. We also finished 2nd in girls overall and 1st in boys overall. 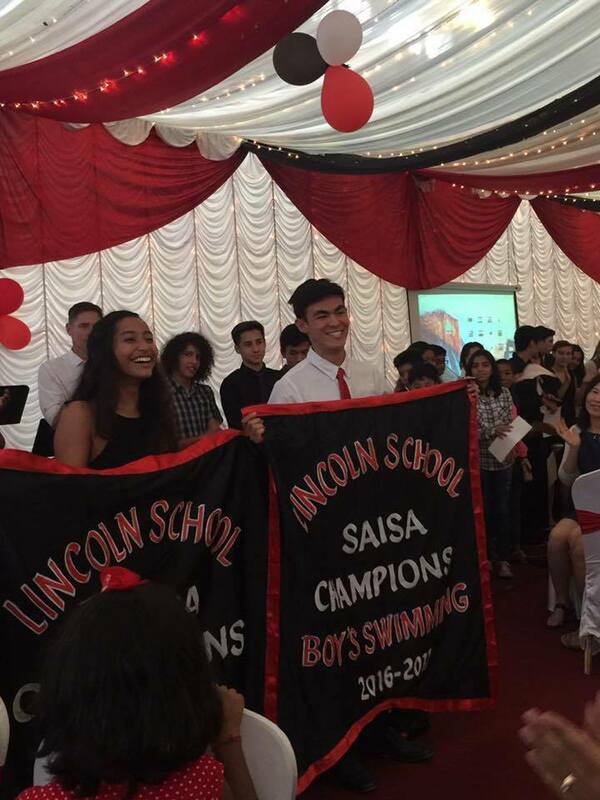 ● An astonishing 62 School Swimming Records broken this year, including 3 SAISA records. ● Our SAISA Girls’ Basketball team had a fantastic 3rd place finish in Mumbai and made it to the finals of the NISSA Championships we hosted. ● We were one of three SAISA schools to participate in the Tennis invitational in Mumbai. ● We hosted the MathCounts convention with a number of schools participating in the region and had a gold medalist in the individual round. ● Our Boys’ football team showed improvement throughout the season, making the finals of the NISSA Championships and the semi-finals of the SAISA Championships in Chennai. ● We participated in SAISA Art for the first time in two years. 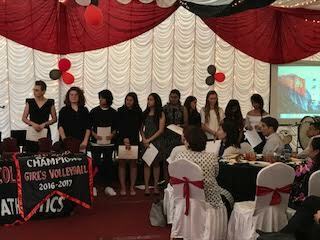 ● Our Badminton team improved on last year’s showing and continues to grow, finishing 6th out of 10 teams. ● Our SAISA Girls’ Football team won the NISSA league and championships hosted at Lincoln, and then traveled to Mumbai, where they reached the finals of the SAISA Girls’ Football tournament. ● SAISA Track and Field had some wonderful individual performances despite traveling with a young and inexperienced team. ● We hosted the SAISA Boys’ Basketball Tournament again this year and our team made it all the way to the final on the back of winning the NISSA basketball championships. ● Two successful secondary play productions were performed. Aquatics Service Learning at Lincoln! Sign-up for Lincoln School Summer Camp!